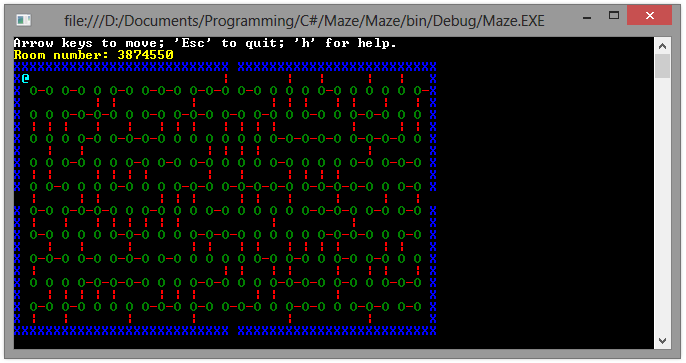 Maze.cs has the actual room generation code. It's as simple as one might expect: pass in a seed, use that to seed the random generator, for each pillar generate a random direction. When creating the Maze object you specify the width and the height (there's no reason this couldn't be per-room, I guess), as well as the number of possible directions. 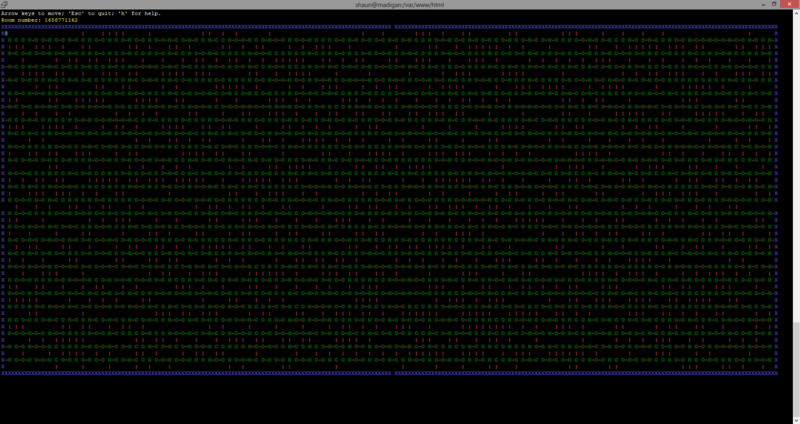 In Main.cs I do the bulk of the work for rendering the map. Direction.cs is just a simple enum for keeping me sane. Which rooms lead where I decided to leave out of the Maze object in favor of putting it in the implementation. I guess it could make sense in either place, but that's how I decided to do it. Play around with it if you want. The code is free to do whatever you want with it, I don't care. Cool! I saw that explanation of the Bezerk maps floating around, but it didn't have enough pretty pictures for my taste. Yours hit the spot. Great job, Merthsoft, and bonus points for the basis in a classic game. Are you planning to expand this into a game of some sort, or was the point mostly exploring the algorithm? Munch Maze, huh? I have a TI-99/4A game called Munch Man, it is a Pac Man clone too. I wondered if it was related. © Copyright 2000-2019 Cemetech & Christopher Mitchell :: Page Execution Time: 0.381460 seconds.